Whether you are buying a new garage door or you are just thinking about revamping an old one, coordinating the color of your door with the rest of your home is a common design dilemma. There are many schools of thought on this matter, all of which claim to be the �proper� way, but in the end, it's your home, and finding a color scheme that makes you happy is absolutely essential. Here is a quick breakdown on a couple of some of the more popular strategies along with a few new modern options. Generally there are two acceptable paint schemes that would qualify as traditionally the norm. The first one here is similar to matching your belt with your shoes! 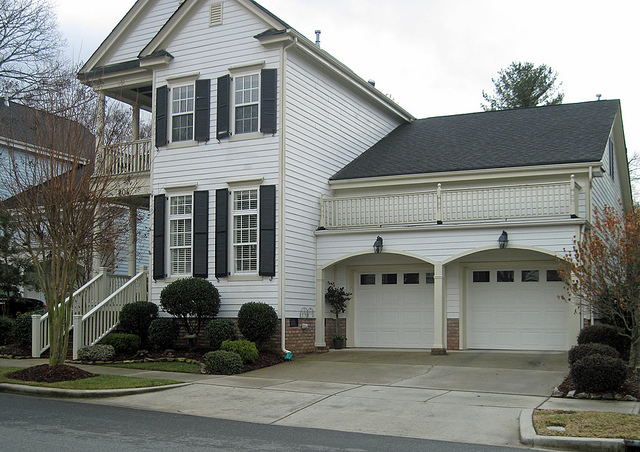 Looking at the front door, garage door and shutters as your home�s �accessories�, and painting them all the same color. This works great to pull your home together and is really a foolproof choice. A good rule of thumb to follow when choosing this design scheme is to pick three main colors for your home. A neutral tone for your siding, a slightly brighter or darker shade of the same color for your trim, and finally an accent color for your doors and shutters. The second of the more traditional routes is to draw as little attention to your garage door as possible, painting it the same color as your home's siding. This is a smart way to go if you have other architectural features that you would rather be the focus of attention or if you just don't really love the look of your garage door. Minimizing the focus on your door does not necessarily mean you have to pick the exact same color as your siding, especially if your home is brick or stone. A simple white or neutral tone pulled from the exterior will work just as well. The current swing towards rich wood tones and a more natural, authentic feel makes staying on top of modern design trends easy and totally doable. You would be hard pressed to find a home that's look wouldn't be drastically enhanced by a beautiful wood door. Coordinating the tone of the wood with your front door is an elegant and understated look that is both timeless and just enough on trend. You know who you are! Those of you out there that need to stand out just a little from the crowd can choose to go with a bit more vivacious color scheme. The key is just to try and steer clear of gaudy. You can add a whole ton of interest to your home by just picking a slightly less obvious color, but one that still accentuates your home. This can be as simple as painting your garage door black or as fun as a bright yellow on your front and garage door. A pretty blue or even a dark aubergine can look really cool on the right home! Just have fun and pick something that makes you smile! 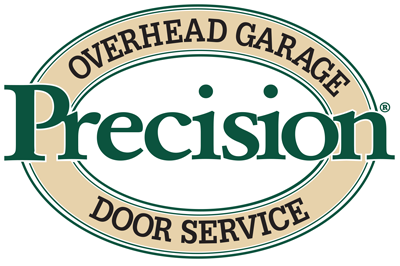 Whether you want a garage door that stands out or one that you just want to melt into the background, the experts here at Precision Door San Diego would love to help you find something perfect. Give us a call anytime!